The Ministry of External Affairs said India and Pakistan have agreed to resolve matters related to the treatment of diplomats and diplomatic premises. India and Pakistan had accused each other of not acting againt harassment of diplomats. 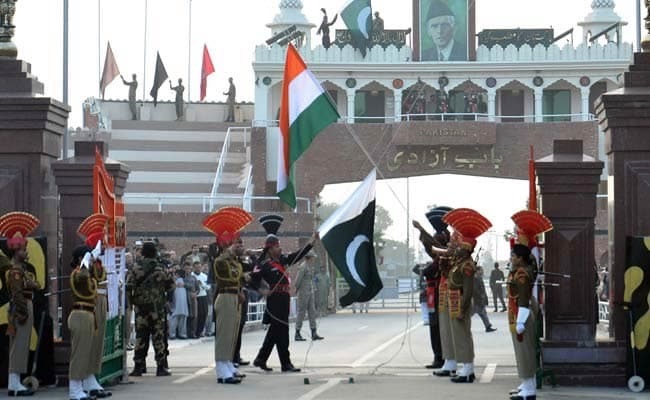 New Delhi: India and Pakistan have agreed to treat diplomats from the other country according to a pact signed 25 years ago, a truce that is expected to pave the way to end complaints of harassment of diplomats from both sides. A Foreign Ministry statement said both countries had "mutually agreed" to resolve matters related to the treatment of diplomats in line with the 12-point code of conduct signed in 1992. In this agreement, both countries had decided, among other steps, not to carry out intrusive and aggressive surveillance of the diplomats, chasing their cars or harass each other. "The inviolability of the official/private vehicles, duly registered in the name of the mission and diplomatic/consular personnel shall be respected," it says. In case of breach of code, the agreement required an intimation to be sent to the high commission before lodging a formal protest. Once a country did so far as to file the protest, the other side was required to probe the complaint and take steps to rectify the situation. "Both sides shall exercise restraint to avoid unnecessary escalation," the pact says. But the ground rules appeared to have fallen into disuse over the last year when differences between the two countries spilled over to how the government treated the diplomats. Indian officials had earlier spoken about difficulties and harassment that diplomats in Islamabad had to face. The cases of alleged harassment made headlines this month when Pakistan went public with complaints of alleged harassment of its diplomatic staff and their family in the national capital, a move that was seen as an attempt to embarrass New Delhi. It next attempted to escalate the issue by declaring that it was summoning High Commissioner Sohail Mahmood for consultations in light of these incidents. India had responded angrily, pointing how Indian diplomats in Islamabad too had been facing "tremendous harassment for long, particularly in the last year" but had chose to tackle the matter with "quiet and persistent diplomacy". Sources had later detailed numerous incidents where Indian diplomats were chased and abused in public places, reportedly by personnel of Pakistan's security establishment.